As will be explained further below (and illustrated further in Figures 9.3, 9.4, and 9.5), under the filter-bank interpretation, the spectrum of is first rotated along the unit circle in the plane so as to shift frequency down to 0 (via modulation by in the time domain), thus forming the heterodyned signal . Next, the heterodyned signal is lowpass-filtered to a narrow band about frequency 0 (via convolving with the time-reversed window ). The STFT is thus interpreted as a frequency-ordered collection of narrow-band time-domain signals, as depicted in Fig.9.2. In other words, the STFT can be seen as a uniform filter bank in which the input signal is converted to a set of time-domain output signals , , one for each channel of the -channel filter bank. Frequency-shift by to get . The STFT output signal is regarded as a time-domain signal (time index ) coming out of the th channel of an -channel filter bank. The center frequency of the th channel filter is , . Each channel output signal is a baseband signal; that is, it is centered about dc, with the ``carrier term'' taken out by ``demodulation'' (frequency-shifting). In particular, the th channel signal is constant whenever the input signal happens to be a sinusoid tuned to frequency exactly. Note that the STFT analysis window is now interpreted as (the flip of) a lowpass-filter impulse response. Since the analysis window in the STFT is typically symmetric, we usually have . 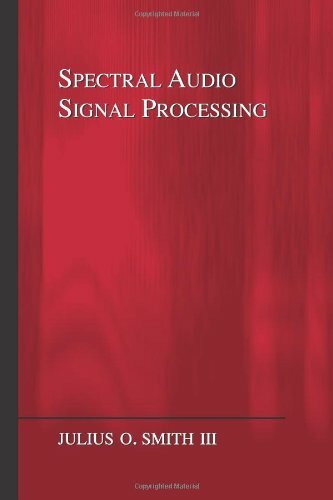 This filter is effectively frequency-shifted to provide each channel bandpass filter. If the cut-off frequency of the window transform is (typically half a main-lobe width), then each channel signal can be downsampled significantly. This downsampling factor is the FBS counterpart of the hop size in the OLA context. 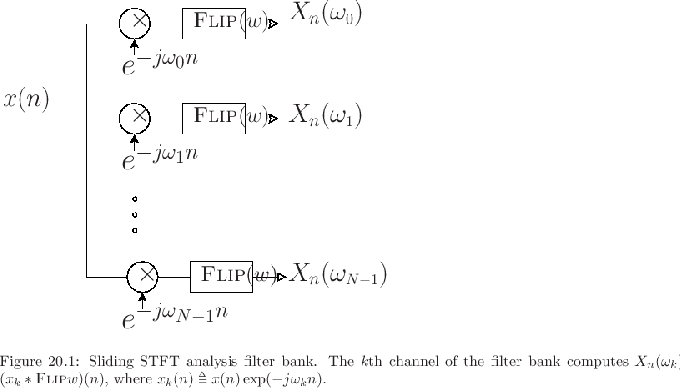 Figure 9.3 illustrates the filter-bank interpretation for (the ``sliding STFT''). The input signal is frequency-shifted by a different amount for each channel and lowpass filtered by the (flipped) window.